To debug or try out some requests towards Sitecore Experience Commerce (SXC) and it’s API, you can use Postman. 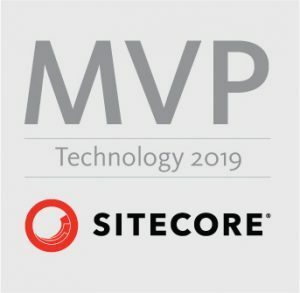 Sitecore folks have prepared lot of collections and commands to help you out get started. Before starting with any tasks described below, you need to download installation package for version of SXC that you are using. For me it was the latest and greatest SXC 9 Update 1 for which installation package can be found here. You need to choose appropriate package based on your installation. I have chosen “Packages for On Premises” as my installation was on premise. 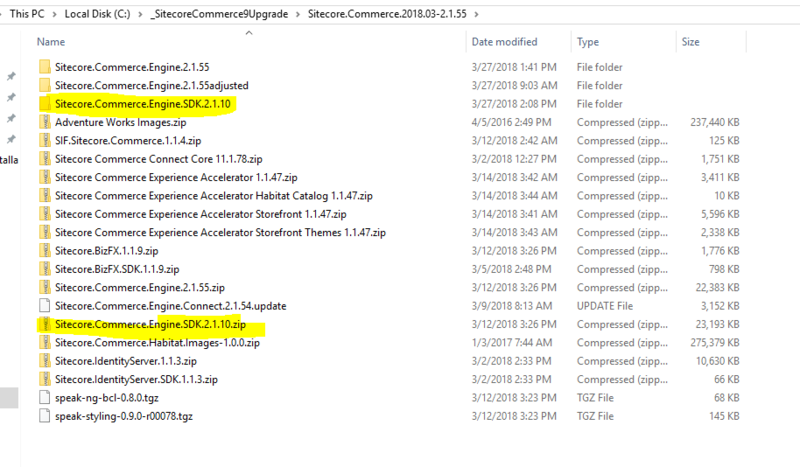 Extract “Sitecore.Commerce.Engine.SDK.2.1.10.zip” from installation package to separate folder. If you haven’t installed Postman so far, now it is the time. Use this link to download it and install it afterwards. 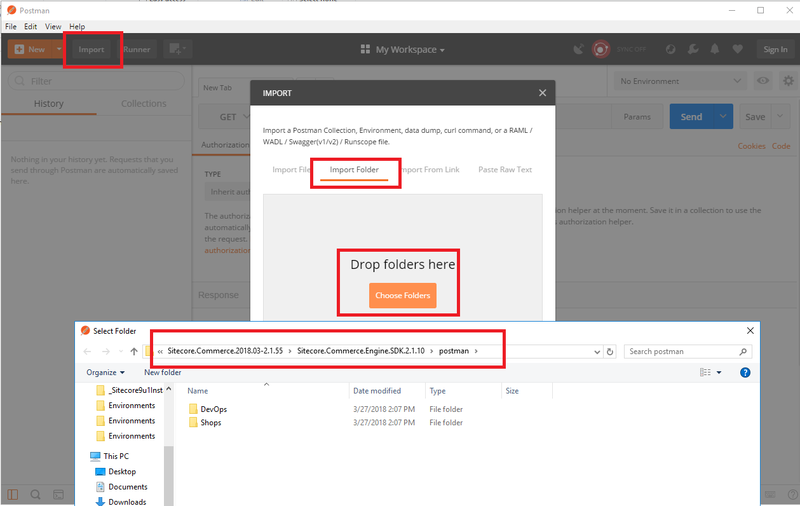 Open Postman and click “Import” button on the top, then “Import Folder” tab and “Choose Folders” button. You should see green notification bars popping up. 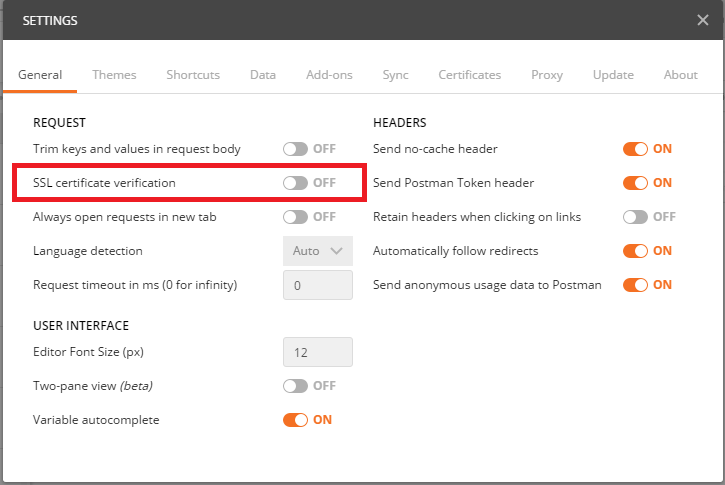 If you use self-signed certificates (on local dev probably you are :-)), you need to disable verification of SSL certificates in Postman. If you have problem running commands and especially with authorization of requests, take a look on my blog post about this topic.